sustainable purchasing for 53% of ongoing consumables, such as eco-friendly paper, office supplies, etc. The Sustainability Report Card is a component of “Simple Steps,” an initiative launched in 2008 by the Edmonton Convention Centre to encourage participation in environmentally and socially sustainable practices throughout the facility. 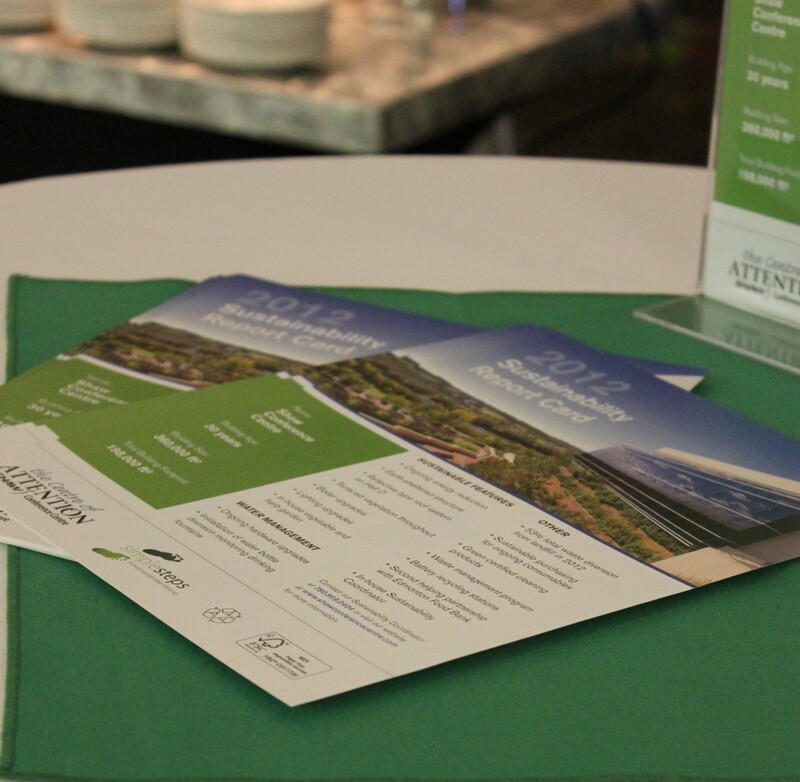 Event clients can access green meeting guides, waste calculation reports, locally sourced menus, green itineraries and best practices advice to help plan an environmentally responsible convention, meeting or event. More information is available at sccsandbox.wpengine.com and by following @EdmontonSCC on Twitter.